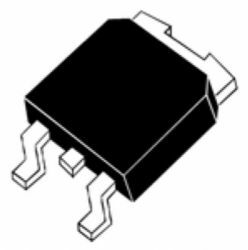 This device is an IGBT developed using an advanced proprietary trench gate field-stop structure. The device is part of the M series IGBTs, which represent an optimal balance between inverter system performance and efficiency where the low-loss and the short-circuit functionality is essential. Furthermore, the positive VCE(sat) temperature coefficient and the tight parameter distribution result in safer paralleling operation.